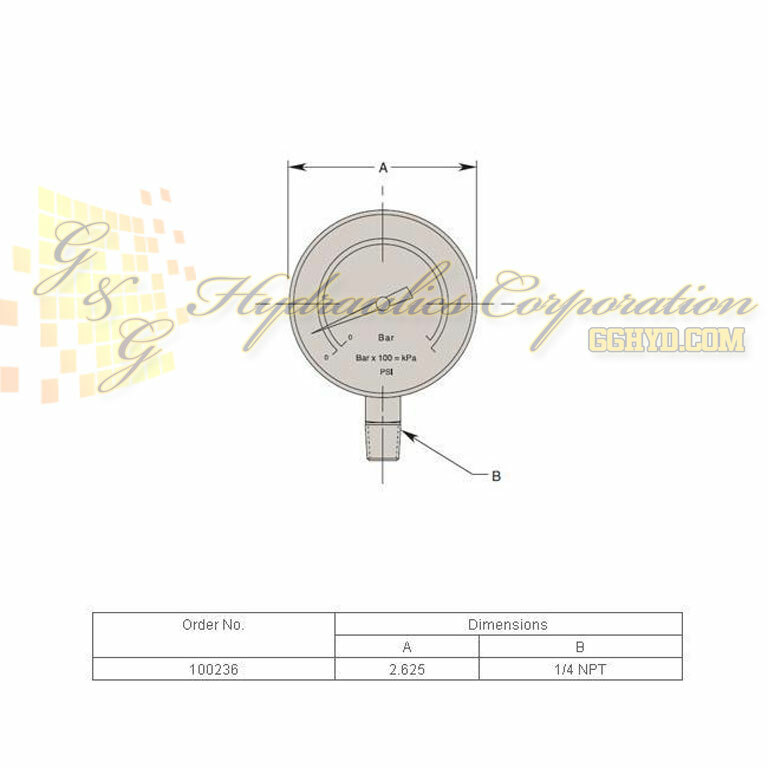 Part #100236 Hytec Pressure Gauges UPC #662536005814 Dual scales, Liquid-filled or dry, 1/4" NPT brass connection, bottom and 1/8" NPT back mount. 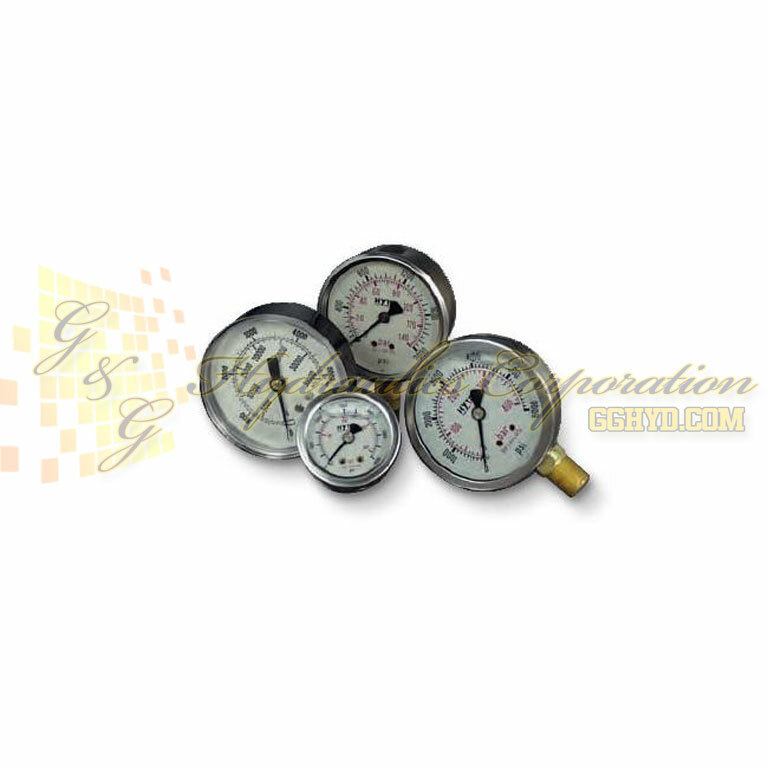 Hytec offers standard hydraulic pressure gauges for monitoring system pressure. All have English and metric scales for convenience. 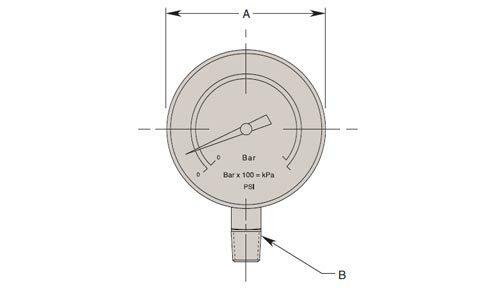 Liquid-filled gauges are recommended for high cycle or pulsating applications because the liquid tends to dampen vibration which protects the meter movement and calms “needle quiver.” Dry gauges are recommended for applications where fast needle reaction is essential. All gauges have built-in snubbers. In applications where pressure spikes are present, further snubbing may be necessary for the dry gauge.